SASP are supporting schools across Somerset to collect data for the Active Lives: Children and Young People survey. 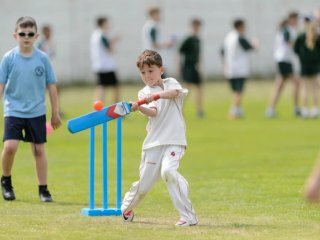 This survey will provide a world-leading approach to gathering data on how children engage with sport and physical activity and sits at the heart of Sport England's vision - that everyone in England, regardless of their age, background and level of ability, should feel able to take part in sport and activity. It will give anyone working with children aged 5-16 key insight to help understand children's attitudes and behaviours around sport and activity. The Active Lives Survey currently measures engagement in sport and physical activity amongst adults aged 16+ across the country. Due to the extension of Sport England's remit to work with children from age 5+, Sport England have been working with the Department for Education, the Department of Health and the Department for Digital, Culture, Media and Sport to develop an extension to the Active Lives survey to collect responses from children and young people aged 5-16. Each term Sport England provide SASP with a random sample of schools that have been selected to take part in the survey. One class in up to three different year groups will be asked to fill out the questionnaires. The survey can be done at any point in the relevant term, depending on what works best for the school involved. SASP will provide schools with everything they need, including templates for letters to parents, information sheets for teachers and pupils, and technical guidance. Each school that takes part will be given a bespoke report from Sport England summarising their own results from the survey. 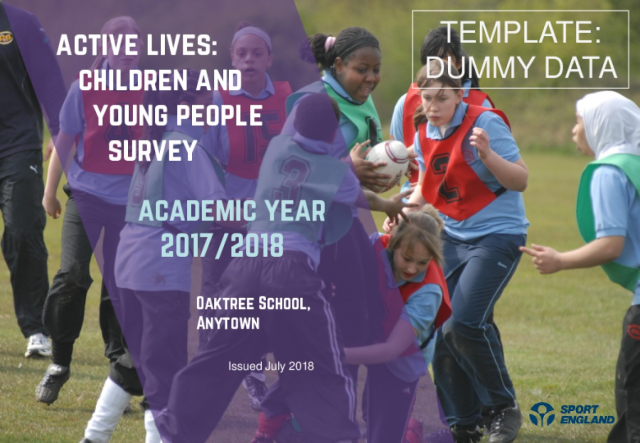 This report will cover measures of children's activity levels, physical literacy, swimming proficiency, wellbeing, self-efficacy and levels of social trust. In addition, Sport England are offering each participating school at least £100 to thank them for their involvement in the study. Please select the document below to view a mock report.